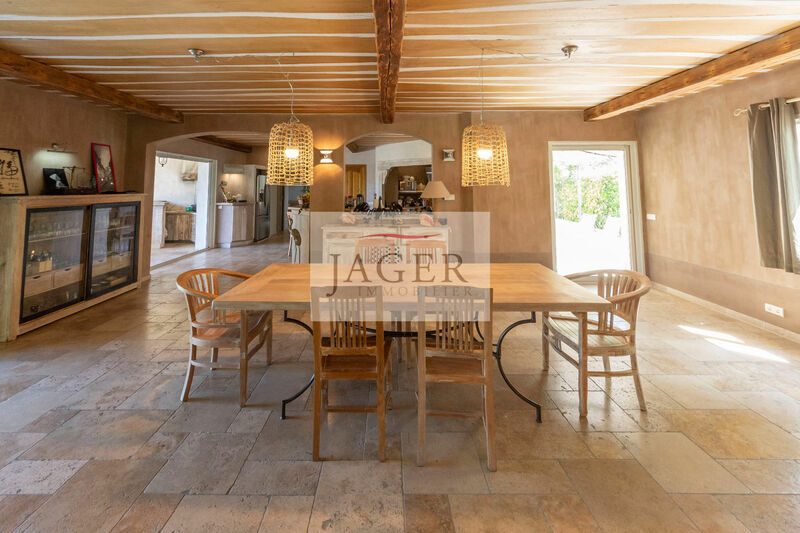 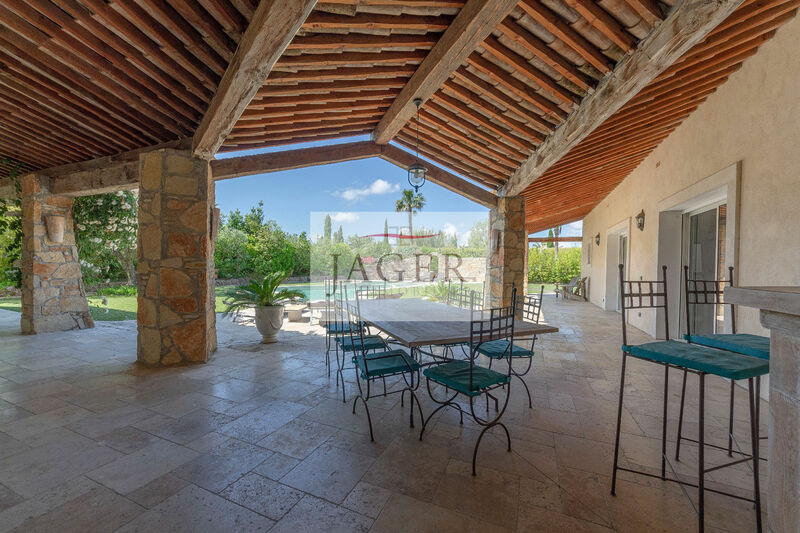 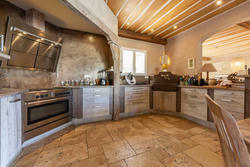 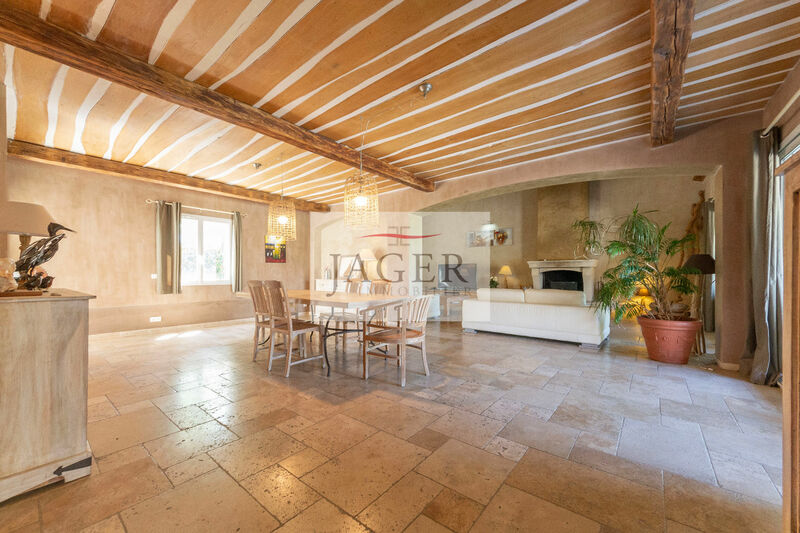 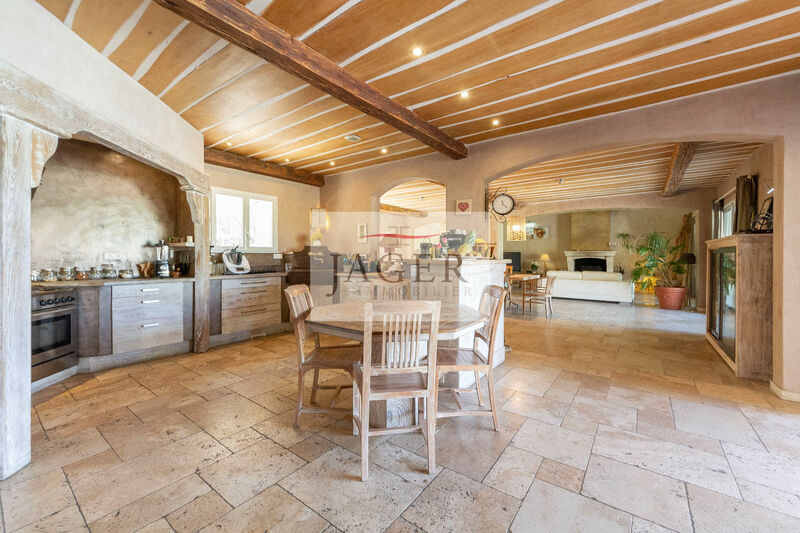 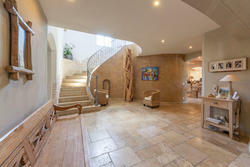 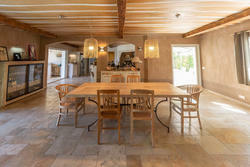 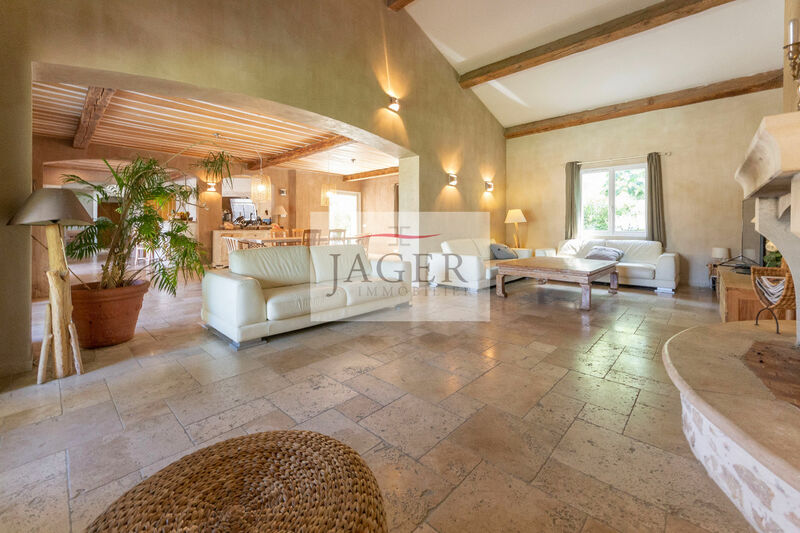 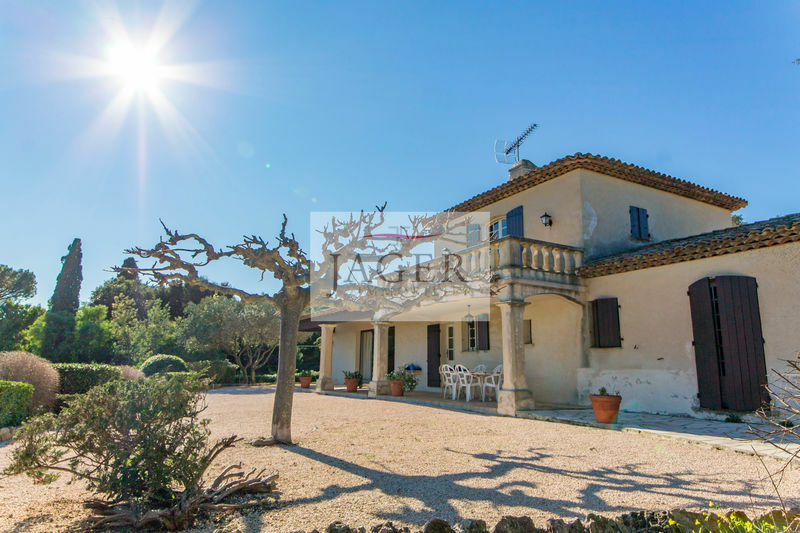 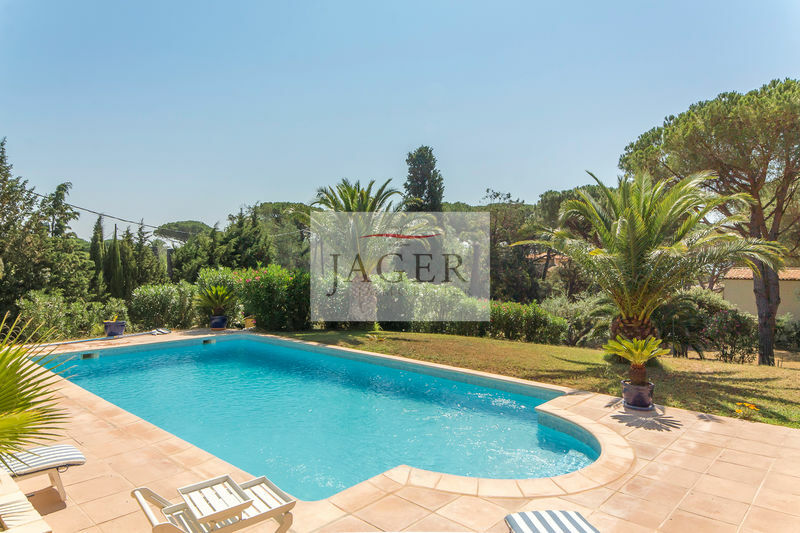 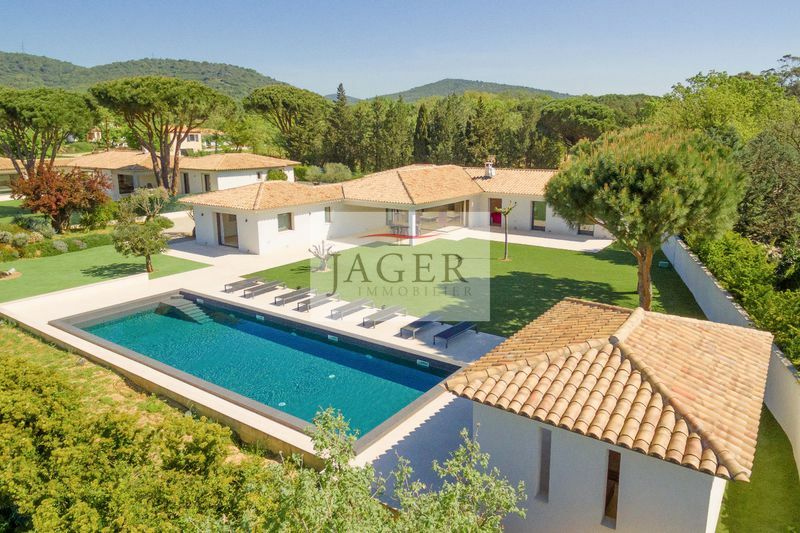 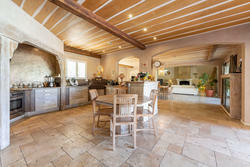 beautiful Provencal style villa on flat ground with a swimming pool and jaccuzi. offers spacious living room of 80m2 with fireplace and open kitchen with bar. 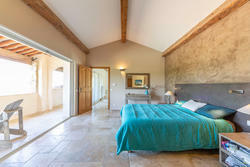 in rdc, 3 rooms which have each room of shower and toilet, 1 big office which can be used as 5th room, buanderie, storeroom. 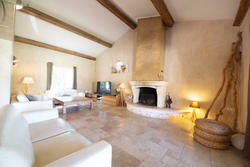 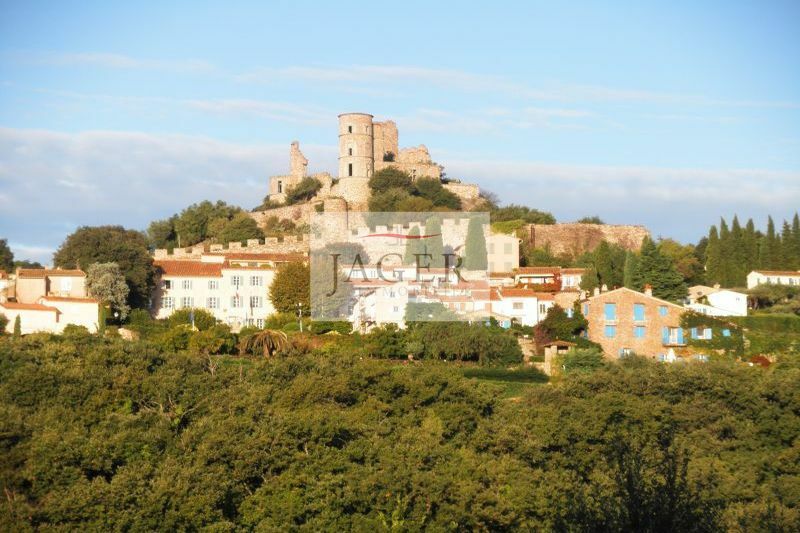 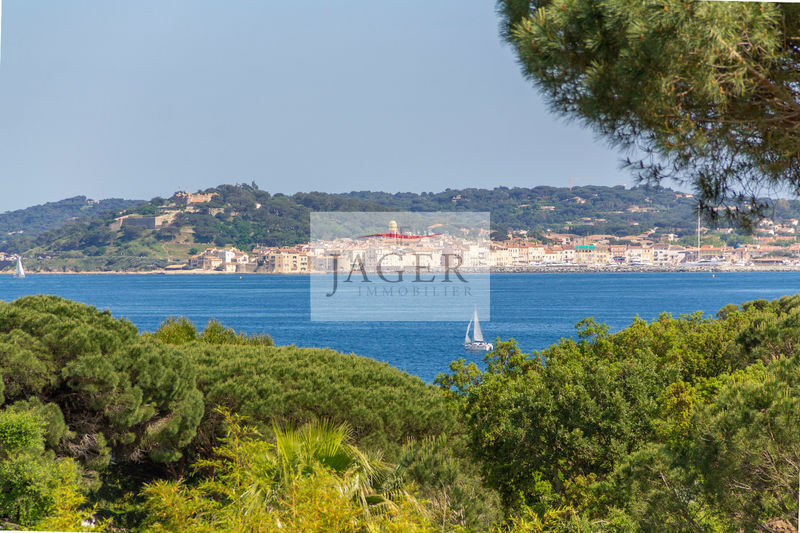 upstairs, master bedroom with bathroom, toilet, dressing room and terrace overlooking the village of Grimaud.